A buildup in harvestable biomass at farms in major producing countries in the second half of 2017 has had a pronounced dampening effect on global salmon prices as these volumes hit the markets. December prices for Norwegian farmed Atlantic salmon were 30% below the equivalent period in 2016, when it hit historic highs, and Chilean export prices have also dropped significantly. After a record-breaking run in late 2016, relatively tight supply from Norway kept prices and revenues high throughout the first half of 2017. However, a somewhat lopsided proportion of younger versus older fish in the pens, combined with excellent biological performance, resulted in an acceleration of biomass growth over the summer and a large excess of harvestable fish in the last 6 months of 2017. The effect on supply was compounded by a parallel hike in harvest volumes in Chile, the second largest farmed salmon producer in the world after Norway. Although these additional volumes had been widely anticipated, the erosion of consumer demand in some core European markets by the prior period of exceptionally high prices has resulted in a more substantial impact than expected by the suppliers. However, the effect of the recent price decline on Norway’s annual exports will be significantly offset by the extremely favourable export conditions observed earlier in 2017, when the multi-year depreciating trend of the Norwegian krone versus the euro accentuated the revenue boost represented by low harvests and strong demand growth worldwide. According to the Norwegian Seafood Council (NSC), the total value of Norwegian salmon exports in the first three quarters of 2017 was up 10 percent by NOK 4.2 billion (USD 509 million) compared with the same period in 2016. Volume for the same period was flat year-on-year, but 2017 as a whole will see an increase in both exports and harvests for Norway with total Norwegian production for the year expected to be around 1.27 million tonnes. The US and various Asian markets continue to increase export volumes from Norway, with Viet Nam, Thailand and the Republic of Korea showing particularly strong growth. Exports have decreased to Norway’s top consumer market, France, where demand has been particularly affected by high prices. Considering the effect of the recent supply boost, the increase in production of 8-10% forecast for 2018 could well have a more pronounced and sustained effect on prices than previously expected. The market’s recognition of this has been evidenced in forward price movements at Fish Pool, with multiple downward revisions of 2018 over recent weeks. The consensus forward price for 2018 as a whole as of mid-December stands at NOK 55.20 (USD 6.62) per kg, somewhat below the 2016 and 2017 equivalents but still well above the year average for 2015. This reflects a market still supported by firm underlying demand globally and steady supply growth, promoting the interpretation of the recent price drop as a return to normality that will prevent excessive demand erosion as opposed to a negative market development. As well as being the world’s largest producer of farmed salmon, Norway, is also one of the largest producers of farmed trout, with both species raised in open-cage farming systems in Norway’s fjords. Being exposed to similar environmental conditions, trout saw similarly positive growth rates over the summer months but, in contrast to salmon, supply remains tight and prices high as biomasses have been low for some time. Having responded to the Russian Federation trade embargo by successfully establishing a range of new markets across Eastern Europe and Asia, the Norwegian farmed trout sector has seen this demand rapidly deplete available supply, with the NSC reporting declines of 53 and 33 percent for volume and value respectively for the first 9 months of 2017. The Chilean salmon industry is going through a quiet period after overcoming the challenges posed by the algal bloom in 2016. Local researchers and scientists are working hard to develop methods to detect these phenomena and avoid important losses for the industry. Atlantic salmon harvests during the first three quarters of 2017 reached 405 000 tonnes, 8.3 percent higher than in 2016, while rainbow trout registered 55 000 tonnes (+1.6 percent). Pacific salmon harvest reached 42 000 tonnes (+133 percent), a result of measures in the sector to intensify controls on diseases and anticipate possible disasters, in order to take care of the economies of the companies. Atlantic salmon is the main export product worth USD 2 292.6 million, representing 54.4 percent of the total value of fish and aquaculture exports, and a 19.6 percent increase compared to the same period in 2016. In terms of volume, 263 400 tonnes were exported, down by 10 percent compared to 2016. By the end of 2017, 760 000 tonnes will have been harvested, 4.4 percent more than in 2016. The aquaculture consultancy firm IndexSalmón foresees low export prices for Chilean salmon during the coming months due to an estimated growth of salmonid production. Their harvest estimates for 2018 exceed 823 000 tonnes, which would approach the harvest registered in 2015. The CEO of IndexSalmón, Reinaldo Vidal, said that although the trend shows that Chilean salmon prices are going to normalize, reaching its lowest level in 2019 due to the oversupply situation, it will depend on how the Norwegian production goes. After a year of severe disease problems in 2016, 2017 has been a good year for UK salmon exporters as production rose in line with soaring prices and boosted by a depreciated currency, equating to something of a revenue windfall for the industry. 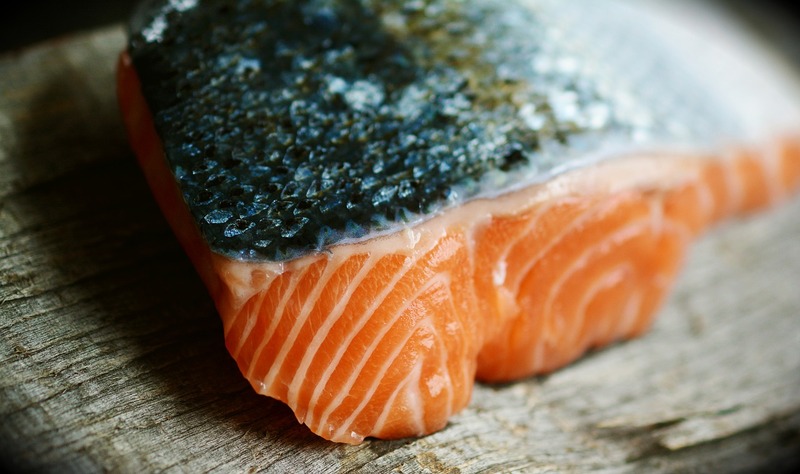 France is increasingly substituting Norwegian salmon for Scottish salmon, backed by the ‘Label Rouge’ quality assurance. The United States of America and China complete a well-diversified set of leading export destinations. UK exporters have not entirely escaped the effects of the additional supply volumes in late 2017, but as of October export prices for fresh whole Atlantic salmon were only marginally down from 2016. While a weaker currency means relatively higher sales prices for exporters, domestic UK consumers are not shielded from the prevailing price level on international markets, and a recent report from the market research firm Nielsen shows a 9.7 percent decline in retail purchase volumes for multiple salmon categories in response to a 15 percent hike in retail prices. That said, salmon remains the most popular seafood species in the United Kingdom, with total sales of GBP 905 million (USD 1.16 billion) in the 52-week period prior to 4 November covered by Nielsen, more than twice that of the second most popular species, cod. The global wild salmon harvest, the vast majority of which is comprised of US and Russian Federation fleet catches, was marginally lower in 2017 compared with 2015 (pink salmon catches are typically significantly higher in odd years). Russian Federation catches came to a reported 347 600 tonnes while Alaskan statistics put the total at around 472 000 tonnes for 2017. Although wild salmon markets are somewhat differentiated from those for farmed salmon, wild salmon producers have nevertheless benefitted as prices for wild species have risen in line with those for farmed in recent years, particularly for sockeye, pink and chum salmon. One of the major trends characterising the evolution of the global salmon market over recent years is the geographical expansion and diversification of salmon consumers. In particular, rapid demand growth in East and Southeast Asian markets has seen large quantities of salmon redirected from the traditional core markets of the EU28, the United States of America and Japan. Indeed, when supply began to dry up and buyers in these developed markets balked at soaring prices, sales to emerging markets largely continued unabated, such was the pace of market expansion. However, with production now rebounding and set to stay relatively high for the next two years at least, the question facing the industry is how many consumers in the core developed markets have been lost to high price levels and how long it will take to recover them now that fish are more plentiful and prices have dropped. While lower spot prices will eventually be transmitted down the supply chain to the retail level, retail prices are much more inflexible in the short-term and this can further increase the time it takes to communicate newly reduced prices to consumers that have turned away. The French market is typically rather price-sensitive and consumer demand was reportedly weak towards the end of 2017, particularly for smoked products. However, the overall performance of the French market in the first 9 months of 2017 was positive, with large volumes absorbed at high prices. This was undoubtedly facilitated by a shift away from Norwegian product towards Scottish salmon, which has a relatively good reputation in France and has been made more attractive for importers by the strength of the euro versus the pound. The outcome of the ongoing Brexit negotiations is potentially important for this trading relationship and market participants will be following the process closely. Germany is another core European market where the price levels of the last two years have taken their toll, particularly in the processed product segments. The fresh salmon segment, promoted and sold primarily through discount retail chains, has been less affected. According to German trade statistics, salmon import volume in the first 9 months of 2017 was 14% below the total for the same period in 2016 and approximately on par with 2015, but at significantly higher prices. With a stable economic outlook and more attractive pricing that will eventually trickle down to consumers, the long-term outlook for the German market remains positive. According to NOAA, the United States of America imported an estimated 272 100 tonnes of salmonids during the first three quarters of 2017, worth USD 2 780 million. These figures represent an increase of 2.9 percent in volume and a considerable rise of 19.1 percent in value compared with the same period of 2016. Fresh farmed Atlantic salmon fillet was the main exported product, accounting for 35 percent. US markets were mainly supplied by three countries (74 percent of the total volume): Chile was the leading supplier (100 100 tonnes worth USD 1 215 million), followed by Canada (67 900 tonnes worth USD 574 million) and Norway (34 700 tonnes worth USD 402 million). Chile and Norway registered increases in terms of volume and value, while Canada declined. Japan, the world’s largest importer of Pacific salmon, both wild and farmed, has encountered similar market challenges to the other large developed markets of the United States of America and the EU28. High prices for farmed Atlantic salmon has driven consumers in a number of Asian markets to seek alternatives and this has driven up prices for both coho and sockeye salmon, the top two species for Japanese buyers. However, increased supply in the second half of the year has had similar effects on raw material costs as it has elsewhere, with prices turning downwards from mid-2017 onwards. In the longer term, with an aging population and significantly slower growth than its Asian neighbours, Japan will be faced with increasing competition for supply as time goes on.